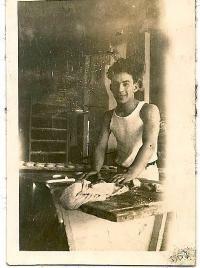 Arnott and Vederoff Ancestors - Here is a young Morris Vederoff working at his life-long trade as bread baker. Photo was provided by nephew Robert Veder. Here is a young Morris Vederoff working at his life-long trade as bread baker. Photo was provided by nephew Robert Veder.